Broan 9810WH - 1000 120/240VAC Fan-Forced Wall Heater. 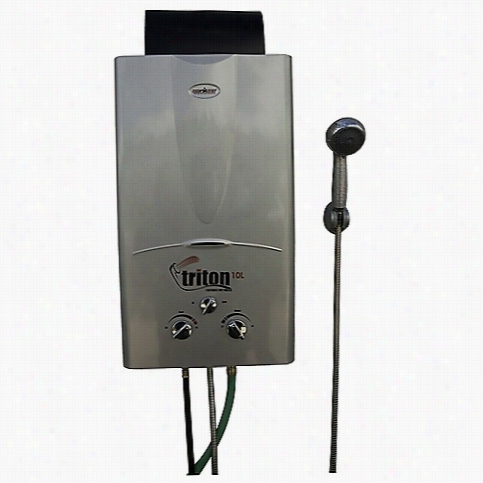 Camp Chef Triton Hot Water Heater - 10L. 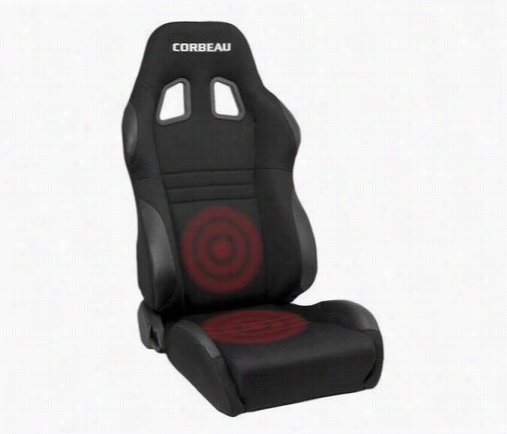 Corbeau Seat Heater 12501 Seat Cover. Dyna-Glo Deluxe 250000 BTU Portable Natural Gas Powered Radiant Heater. 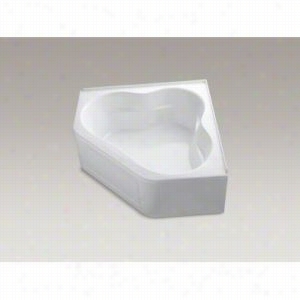 Dimensions: 14.69L x 14.69W x 44.29H in.. Tall frame with wide base made from steel. Variable heat output between 50,000 and 250,000 BTUs. Provides heat to 5,900 square feet. Radiant 360-degree heat emission. Automatic shutoff prevents overheating. Make sure your workshop, warehouse, or camping area stays warm, dry, and cozy thanks to the Dyna-Glo Deluxe 250000 BTU Portable Natural Gas Powered Radiant Heater. This powerful heater runs of natural gas and comes with a low-pressure regulator. The heater is made from solid steel with a cage surround design, emitting heat in a 360-degree radius. A one-touch spark button ignition that makes it easy to light. The unit is perfect for large, open areas, servicing up to 5,900 square feet handily. An adjustable thermostat lets you select between 50,000 and 250,000 BTUs of heat. An automatic-shutoff design prevents overheating. Unit is CSA-certified. About GHP GroupGHP Group creates electric fireplaces, Accessories, log sets, and other heating options found in homes across America. With years of experience and a close attention to detail, their products exceed industry standards of safety, quality, durability, and functionality. Whether you're warming a room or just making a relaxing glow, there's a GHP Pleasant Hearth product for you. 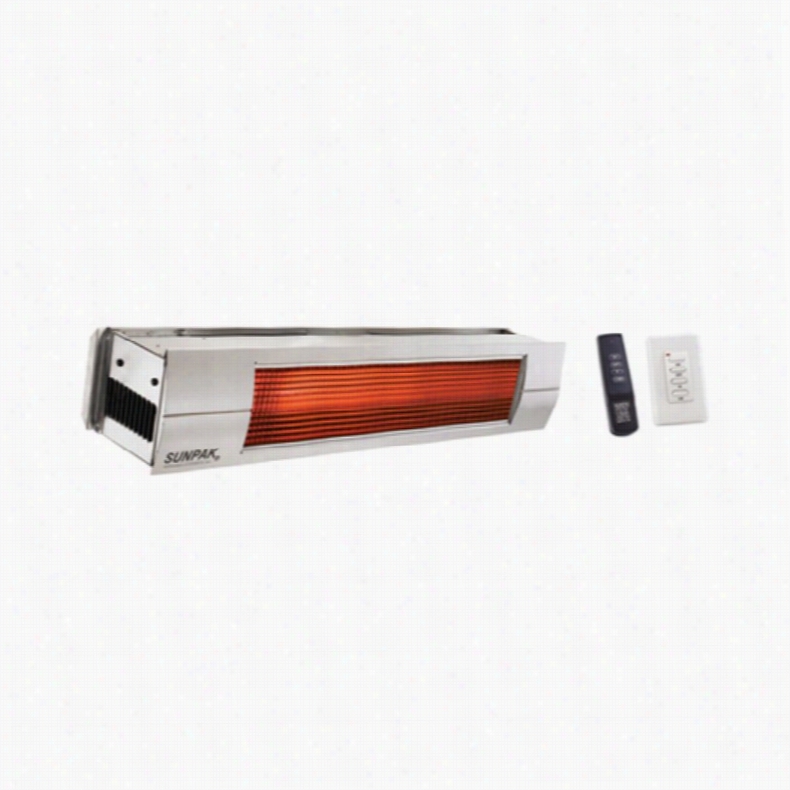 SunPak Dual Stage Stainless Steel Infrared Heater with Remote and Optional Timer and Fascia Trim. Ceramic infrared system for ideal heating. Includes remote for simple, comfortable use. Contemporary stainless steel body with optional fascia trim available. 25- or 34-BTU output with LP or natural gas. Mounts to walls or ceilings with included kit. Direct-spark ignition with auto re-light and flame sensor. Includes 24-volt transformer. Dimensions: 48L x 8W x 8H inches. Having the SunPak Dual Stage Stainless Steel Infrared Heater with Remote and Optional Timer and Fascia Trim in your home is like having the sun in the palm of your hand. Except in this case the sun is a remote that controls one of the most efficient, powerful, and reliable heaters available. At the touch of a button, you'll have the power to heat your outdoor space like a wizard of warmth. The included remote allows you to select between low, regular, and high heating modes, so you can make sure your patio is just the right temperature for entertaining. That's definitely ideal for unwinding on a brisk fall &ndash; or early spring &ndash; night with some choice friends or that special someone.This two-stage heater mounts to any ceiling or wall with the included mounting kit, allowing for quick, easy installation, and it features a direct-spark ignition with auto-relighting and a flame sensor system. Not to mention that sleek stainless steel body, making the heater an ideal addition to contemporary homes.About SunPakWhen the sun goes down or autumn comes rolling in, SunPak heaters ensure you and your family can continue to enjoy your patio space despite the chills. Since 1966, the company has been producing easy-to-use, efficient, and reliable outdoor heaters that work well in any outdoor space, whether it's used for entertaining, eating or just kicking back. All SunPak heaters are CSA Design Certified and are developed for use with clean-burning, low-cost natural gas or propane fuels. See why families have been enjoying SunPak heaters for more than 50 years - order one today. 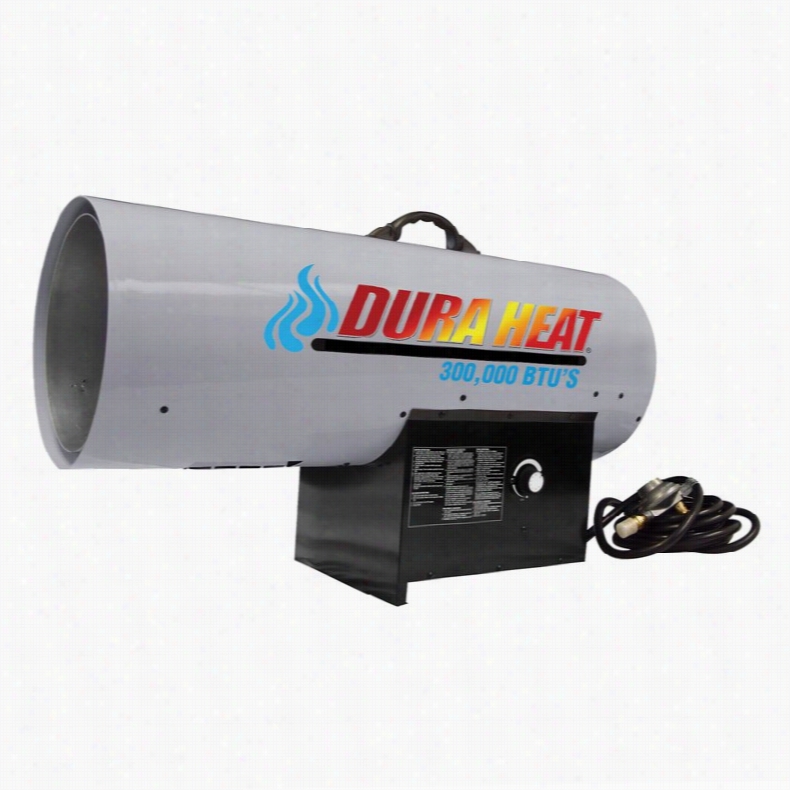 Dura Heat Natural Gas Forced Air Heater. Powerful professional use heater. Massive effective range. Durable solid metal frame. 150,000/300,000 BTU maximum output. Natural gas fueled. Easy to use thermostat control. Choose from the available heat levels. Tend to large areas and maintain a consistent temperature with the Dura Heat Natural Gas Forced Air Heater. A 150,000BTU (Dimensions: 9.4W x 15.5D x 25.6H inches) and a 300,000BTU (Dimensions: 12.6W x 18.5D x 33.7H inches) unit are yours to choose from. Each piece is constructed from solid steel and is fueled by natural gas for constant, efficient use. Fan-forced, the heaters boast a large service area with the less powerful model heating up to 3,800 square feet and the more powerful model heating up to 7,000 square feet. Temperature adjustments are made easy thanks to a thermostat control knob.About Comfort GlowKeep comfortable during those chilly months with one of Comfort Glow's many superior heating Products. For indoor or outdoor, commercial or residential, Comfort Glow is sure to have a heater to suit your needs. Kerosene, electric, forced air, gas burners: there's a heater model for nearly every type of fuel. In addition to the heaters themselves, Comfort Glow offers a range of replacement parts to make sure your unit continues working properly for years to come. Whether you want a kerosene lantern for camping or an electric fireplace for your home, Comfort Glow is here to serve you. Lava Heat Italia Alto Liquid Propane Gas Patio Heater. Dimensions: 24L x 24W x 84H inches. Generates up to 48,000 BTUs using LP tank (not included). Weighted steel construction with integrated table. Single piece 30-inch dome reflector. High and low heat settings. Lava Heat's Safety-Tilt Switch mechanism. Easy assembly with basic Household tools. The Lava Heat Italia Alto Liquid Propane Gas Patio Heater - Heritage Bronze is the latest model from lead designer JR Zioni and his team of Italian engineers. This solid steel unit features a weighted base for maximum stability, an integrated swing-door for easy tank access, and an attractive Heritage Bronze finish. Just as radiant as its rich color is the design's impressive heat output of 48,000 BTUs, triggered by a manual Easy Start electronic ignition. That level of power combined with the huge reflector dome means 360 degrees of infrared heat distribution that costs less fuel and makes for an even cozier gathering. About Lava Heat ItaliaLava Heat Italia is a renowned manufacturer and importer of beautiful outdoor as well as indoor heating, cooling, electric, and water products. And international company, Lava Heat Italia's products can be found throughout the world, but their home is in Culver City, California. There they make the Lava Lite, Apollo, Table Deluxe, and more. In superior customer service and unparalleled innovation, Lava Heat Italia brings the heat. Kohler K-1160-GLA-0 - 5 ft. Alcove Apron-Front Corner BubbleMassage Acrylic Air Bath Tub with 120 Airjets, Heater, Integral Tile Flange and Center Drain, 60" L x 60" W x 21" H.
Wall-Mounted Infrared Patio Heater - 7.5"Hx22"Wx4.5D, Black. 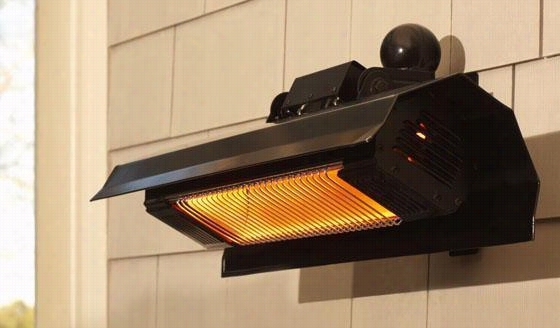 Wall-Mounted Infrared Patio Heater - Choose Wall-Mounted Electric Heaters For Efficiency And Warmth - Our Wall-Mounted Infrared Patio Heater Will Become One Of Your Favorite Outdoor Accessories, Operating At 90% Heating Efficiency From A Regular Household Electric Current. It Is Substantially Less Expensive To Operate Than Propane Patio Heaters, Yet Features 100% Heat Production Within Seconds. 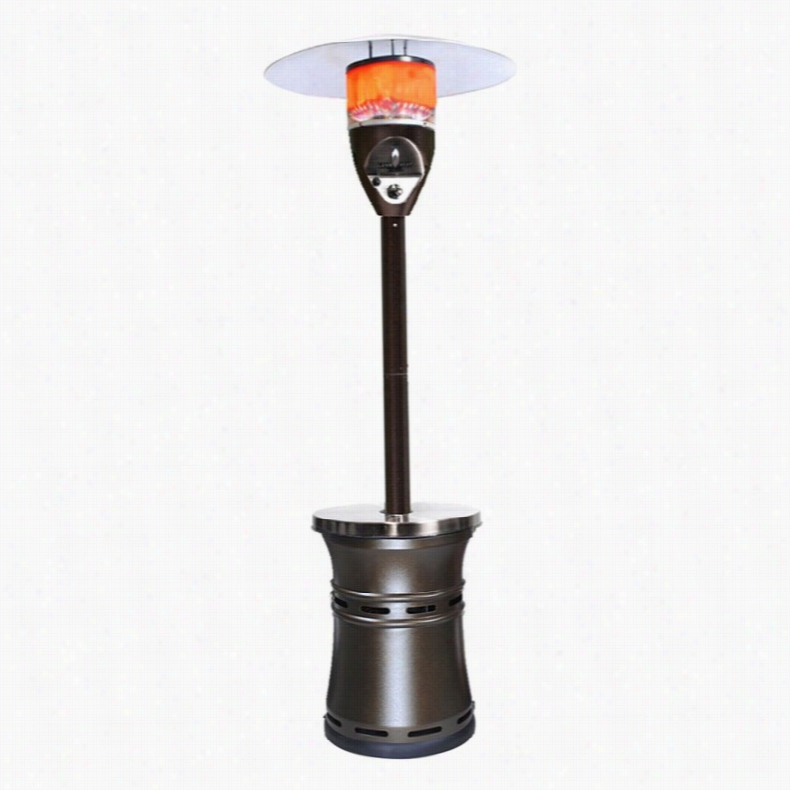 Mounted Securely To The Wall, This Outdoor Heater Stays Out Of The Way While Keeping You Cozy. 9-Foot Heat Range Unaffected By Wind. Approximately 1/10 The Energy Cost Of Propane Heaters. 1500-Watt Lamp. No Uv Rays. No Harmful Emissions Or Toxic Residuals. Silent Operation. Connects To Standard 110V Household Current. Durable, Weatherproof Lightweight Aluminum Extruded Body. Protective Aluminum Cover Shield. Includes Wall Mounting Bracket. Can Be Used Indoors. Recommended Primarily For Sheltered External Use. Etl Approved. Infratech 39 in. 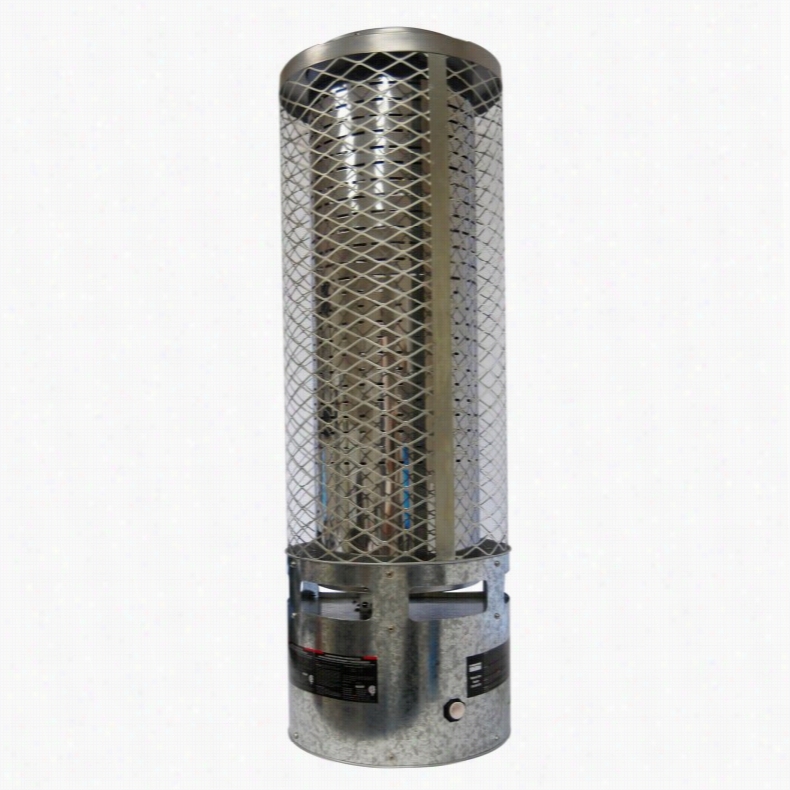 Dual Element 4000 Watt Stainless Steel Quartz Heater. 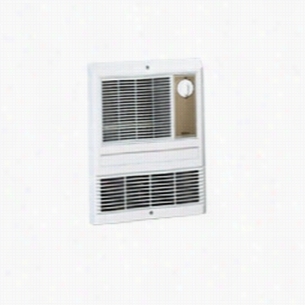 UL-listed indoor/outdoor heating unit. Polished reflectors provide uniform heat. Specs: 4,000 watts, 16.7 amps. Quartz elements offer approx. 5,000 hrs. of use. 1-year warranty. Made in the USA. Dimensions: 39L x 8W in.. The Infratech 39 in. 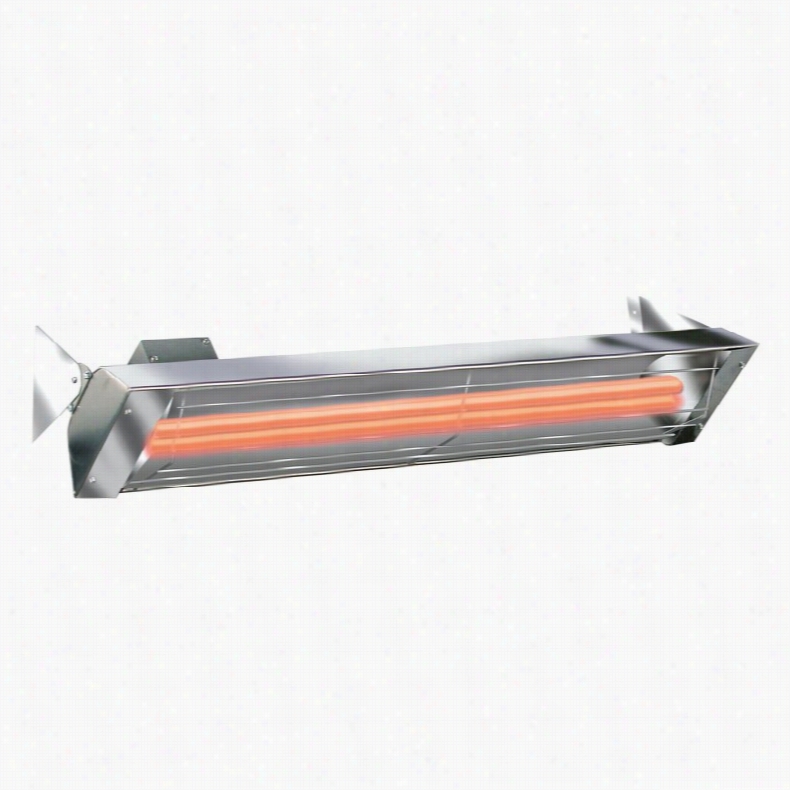 Dual Element 4000 Watt Stainless Steel Quartz Heater offers warmth and comfort to any commercial or private space. This high-quality heater is UL rated for indoor or outdoor use and is ideal for decks, garages, lounging areas, pools, patios, and more. Its polished reflectors provide uniform radiant heat from dual infrared quartz elements and 4,000 watts of heating power. This efficient heat emission is absorbed by solid objects and not wasted by heating the surrounding air so it&rsquo;s extremely effective and safe for a variety of settings. Since there are no open flames, carbon monoxide emissions, the clearance levels are minimal so it can be used safely most anywhere. Average coverage area for this size is 8 x 10 feet, at a suggested mounting height of 8-12 feet. An included mounting kit makes installation easy.About InfratechInfratech has been a pioneer and leader in infrared technology for more than 50 years. Offering a wide range of Products for comfort heat. Infratech uses the latest in manufacturing technologies to offer you the most efficient infrared systems for the lowest cost in the industry. From heating a backyard patio to a complex mega resort, Infratech can provide the design, engineering, controls and infrared equipment your property or facility requires. Infratech is committed to providing high quality, innovative products that exceed our customers&rsquo; expectations. We have the technology and we have the people to achieve our promise of quality, delivery and price.